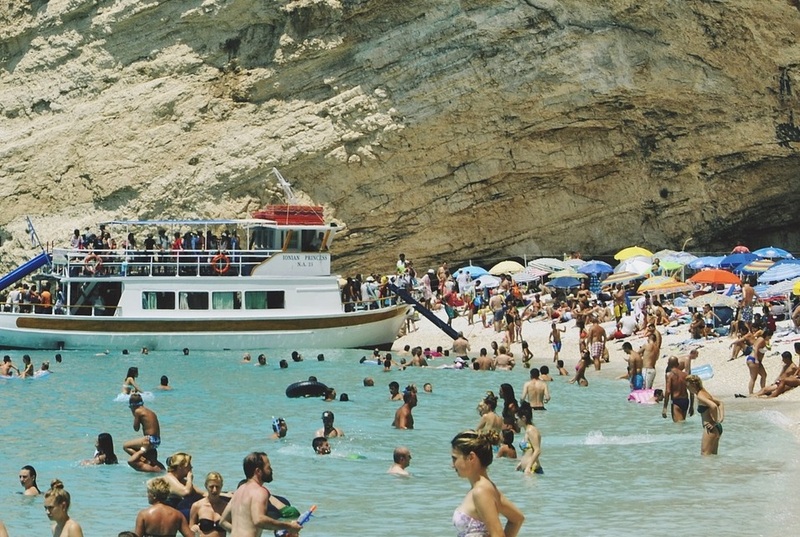 A total of 2.1 million UK nationals chose to travel to Greece in 2017, ranking the country seventh in terms of top seven UK travel destinations in the EU, TUI Group’s policyAGENDA for October reveals. The report, which comes in view of Brexit negotiations and amid growing uncertainty should there be a “no deal” or “hard” outcome, underlines the importance of the UK market as a driver for many EU economies through tourism. 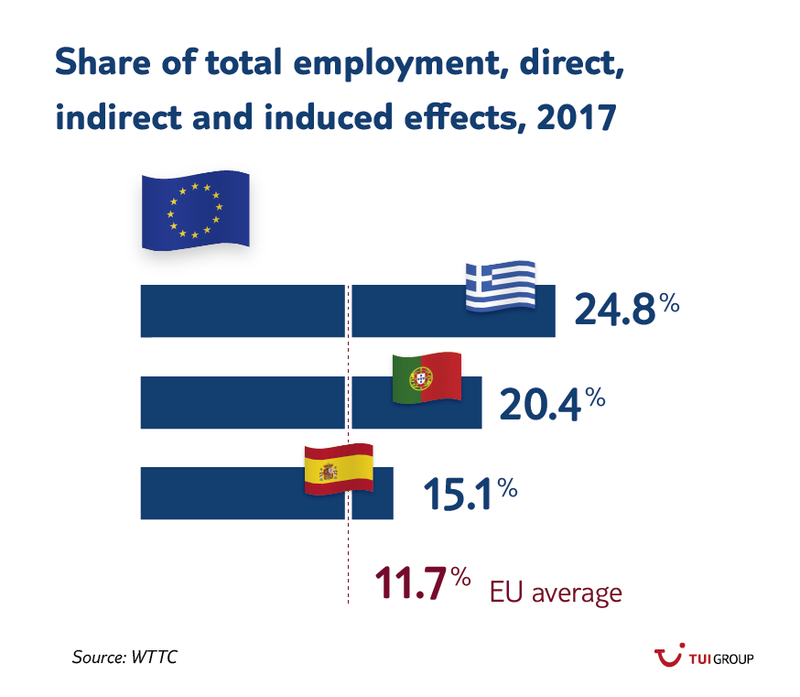 Greece is last on a list of seven EU countries with Spain (14.3 million), France (7.2 million) and Italy (3.1 million) in the top three positions, followed by Portugal, Netherlands and Germany. 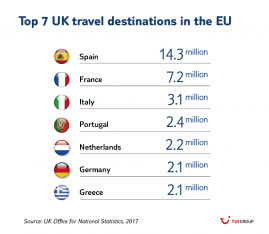 According to findings, UK tourists account for more than one-fifth of foreign overnight stays in the EU, with British holidaymakers spending 58 billion euros annually in Southern member states alone. A reduction in air traffic due to Brexit could shrink the EU’s GDP by up to 210 billion euros, while the ensuing decline in trade, investments and tourism could impact up to 1.3 million jobs in the UK and 1.8 million in the EU. 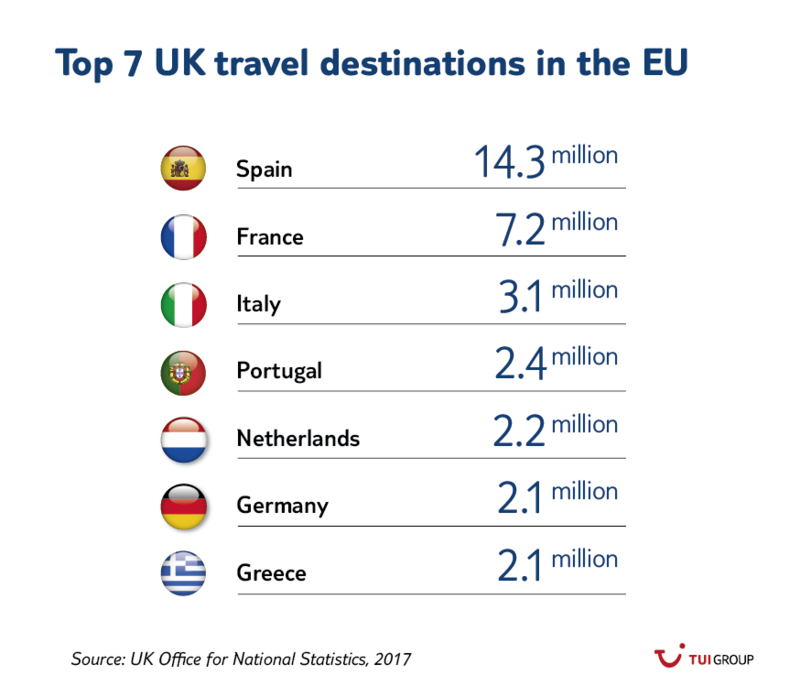 Indicatively, British tourists spend five out of six holidays abroad in EU countries, with almost one in four opting for Spain and Portugal. Travel authorities are calling for post-Brexit measures that will address unresolved issues including ensuring European flight operations, citizen mobility, aviation safety, as well as planning reliability and legal security.